If you're from New England than I'm sure you know what The Big E is, if not I'll explain. The Big E, also known as The Eastern States Exposition, is billed as "New England's Great State fair". Each year, the fair opens on the second Friday after Labor Day and runs for seventeen days. The Big E has many foods from traditional fair foods like fried dough, corn dogs, and lemonade. Also, tons of Crazy Foods like the "Craz-E Burger", which is a bacon cheeseburger on a glazed doughnut rather than a bun. So GOOD! This year, I ran into something Different. A Milk Bar. Yes, you read that right. MilkWise Bar. This bar is actually part of a truck tour, "Taste of MilkWise". I had no idea what I was missing until I tried this Milk. It's not your ordinary milk though. This milk has Less Sugar, Fewer Calories, and more Calcium. So if you're like me and count Calories you must try this Milk or if you're a Milk Lover looking for a Milk that has more Calcium this is definitely for you. MilkWise comes in 3 amazing flavors, Original, Vanilla and Reduced Sugar Vanilla. My favorite was Vanilla. It was light, flavorful and tasted like ice cream. My daughters loved Original! It went perfectly with their Samples of Nature Valley Granola Bars. 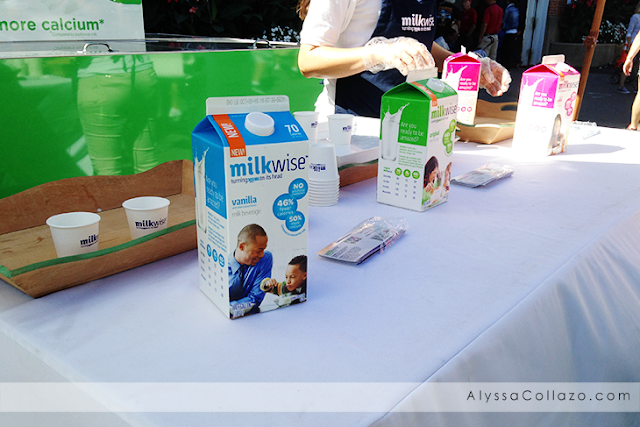 Not only did MilkWise offer samples but also coupons and so much information about MilkWise. In a fair full of Fried Foods and Sweets, MilkWise was a nice change. 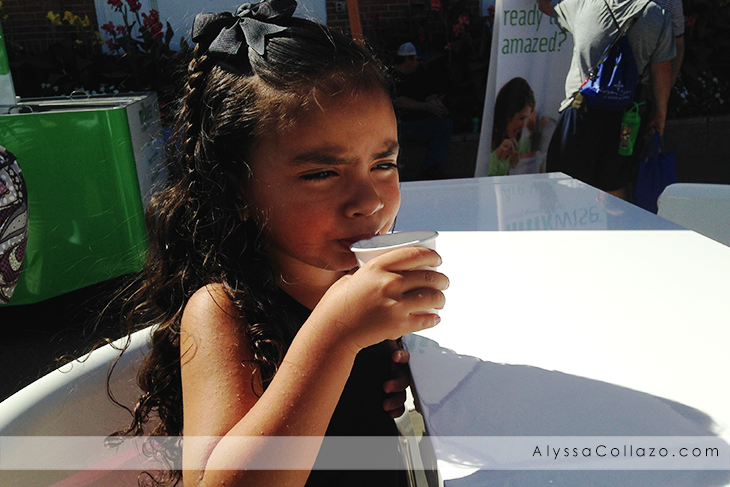 We were able to sit down and actually enjoy something that's good for you. 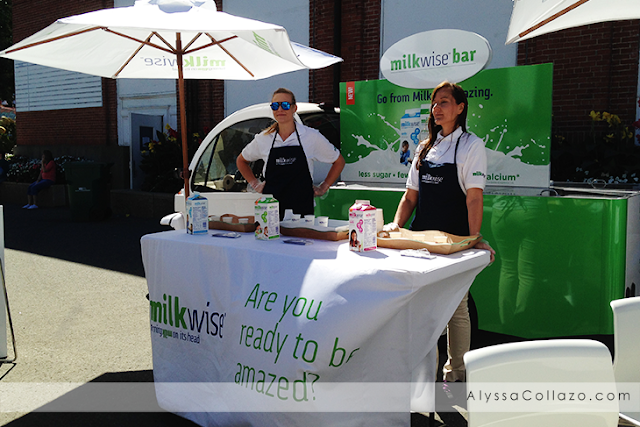 Unfortunately, Monday September 21 is the last day MilkWise will be at the Big E. However their "Taste of MilkWise" Tour doesn't stop at The Big E. Next, they will be in Worcester, MA at the Union Station Commuter Rail! Click HERE for the Taste of MilkWise Tour Schedule. Also, be sure to Follow MilkWise on Facebook and Twitter. I went to the Big E last year and it was so much fun! I had my first Fried Oreo there and might try to get back again this year if I get a chance. Oh wow. I've never heard of Milkwise before. I'll have to see if they it's available down here in Georgia. Now this is a great way to get people thinking about healthy alternatives at a place that doesn't have a whole lot of healthy options. I'll keep an eye out for the Milkwise Truck! They don't sell this near us. I have actually never heard of it. Sounds like this big E is the place to be. I have never heard of this before! My kids are huge Milk-aholic!! They would go crazy for a Milk bar! I have never heard of milkwise before! We love milk over here and we would love to attend a milk bar! I saw someone said something about OREOS!? Big-E sure sounds like a great fair to go to. I would like to sample Milkwise too. I mean I love milk and would get my hands on any brand, as long as its milk! The Reduced Sugar variant would be a good one for me. This is the first time I heard about MilkWise. I would definitely want mine with less calories. I would love to try this. I don't think I have ever sen milkwise from the store yet. My son is abig mil drinker. Looks like you were able to enjoy a good for you moment at the milkwise truck tour, good to know it's hitting other cities I will check to see if they are coming to mine anytime soon. man... i would have loved to have been there. i love things like this! We will have to try this. I've not heard of milkwise before! I've never heard of Milkwise before. I do like products that offer fewer calories and less sugar.